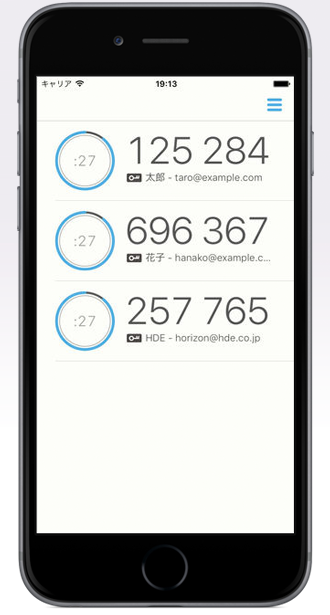 HENNGE OTP Generator is a virtual device application for multi-factor authentication (MFA), so-called two-step verification, which generates time-based one-time passwords (OTP) complying with RFC 6238 (TOTP: Time-Based One-Time Password Algorithm). HENNGE OTP Generator has it's own PIN screen which prevents strangers or children from casually accessing your OTPs, even when you are physically away from your phone. - To make OTP work, make sure your clock is in sync. - Only supports 6-digits OTPs.